I am a BzzAgent so I am presenting you with their latest Bzz today. *please note, this is not a compensated post. 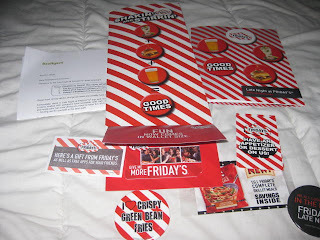 I did receive a Gift Card and some coupons to pass on to friends, as well as promotional materials from TGI Friday's on behalf of BzzAgent. When your night is just warming up, and everyone else's is winding down, Friday's bar and grill is your place to go to! Why? Because your neighborhood Friday's bar and restaurant is late night on your terms. Unlike most bars with limited food and most restaurants with a limited bar, Friday's bar and restaurant is the place to get everything you want: an impressive selection of affordable drinks and a menu loaded with classic appetizers and entrees available until closing. A fun, irreverent atmosphere like you've never experienced before. So whether you and your friends want to catch the game, unwind from a long day, or pop in for some good food and drinks, Late Night at Friday's bar and Restaurant is always there for you. 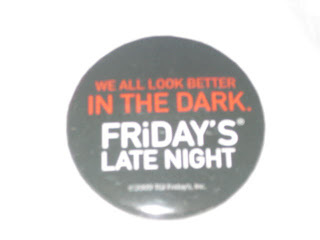 Want to know more about Late Night at Fridays bar and restaurant? I don't blame you. Late night menu includes all of your favorites like tasty appetizers, burger, and signature Jack Daniel's items. Friday's bar and restaurant new Late Night offerings are currently found in Baltimore and Minneapolis. At Most Friday's Bars and Restaurants, you'll notice a set of propellers hanging above the bar. That's because Friday's considers their bars the hub of each restaurant, with all the energy projecting outwards from them. 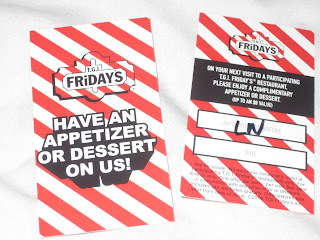 Do you like TGI Friday's? Would be apt to take advantage of this deal? 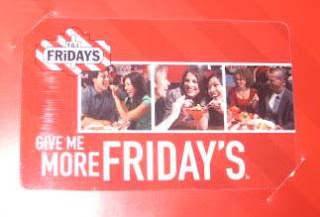 I love, love TGIF's !!! I have awarded a Zombie Chicken Award to you! Sounds Great, I think I gotta try it. I hopped over here from SITS! 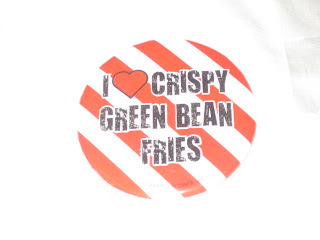 Like your blog. Will come back and visit again.